Camila Mendes Looks Back at her High School Yearbook - Watch! Camila Mendes is looking back! The 24-year-old Riverdale actress made an appearance on Jimmy Kimmel Live on Wednesday night (April 11). 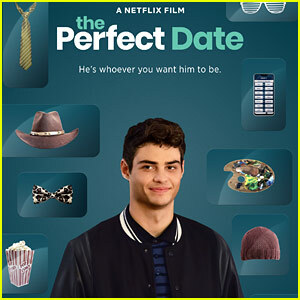 During her appearance, Camila talked about her hit TV show, eating at a dine in the dark restaurant with her friends and co-stars, and she explained why she said she’ll miss her dean’s “beaver” in her high school yearbook – a stuffed animal that she held after she got caught helping a student cheat. Camila Mendes has a new film on the way! The 24-year-old Riverdale actress has signed on to star in a Netflix original movie titled Windfall, Deadline reports. Filming is set to begin this month. Additionally, Camila has joined the cast of the Max Barbakow-directed comedy Palm Springs, starring Andy Samberg, Cristin Milioti, and J.K. Simmons. 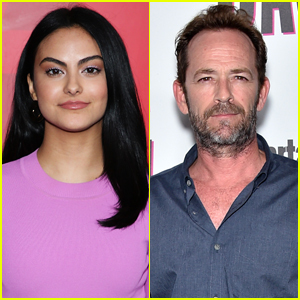 Camila Mendes is mourning Luke Perry, who sadly died after suffering a reported massive stroke on Monday (March 4). The 24-year-old Riverdale star posted a tribute on her Instagram on Thursday (March 7). “he took care of us all. an authentic man who took pleasure in offering us his guidance and wisdom. his presence was healing; he had the ability to make you feel comfortable and at ease within seconds of seeing him. i will never forget the collective shock and distress we experienced when the news broke on set,” she wrote. Our thoughts are with Luke‘s loved ones at this difficult time. See her post on her Instagram. Vanessa Hudgens strikes a pose on the red carpet as she arrives at the 2019 NFL Honors on Saturday (February 2) at the Fox Theatre in Atlanta, Georgia. 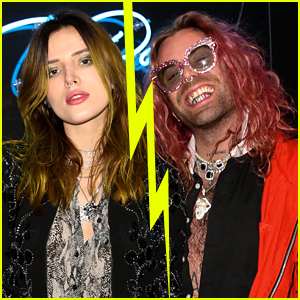 The 30-year-old Rent Live star looked pretty in a black, silk dress and purple eye makeup as she attended the event held during Super Bowl Weekend. 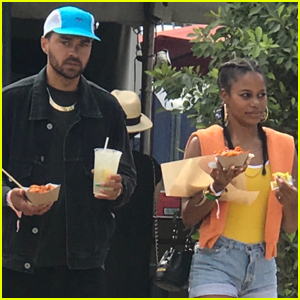 Other stars at the event included Nina Dobrev, Camila Mendes, Aly Raisman, and Liza Koshy. FYI: Vanessa is wearing a Greta Constantine dress and Stuart Weitzman shoes. Nina is wearing a Cushnie dress and Mizuki jewelry. Camila is wearing a Prabal Gurung dress.